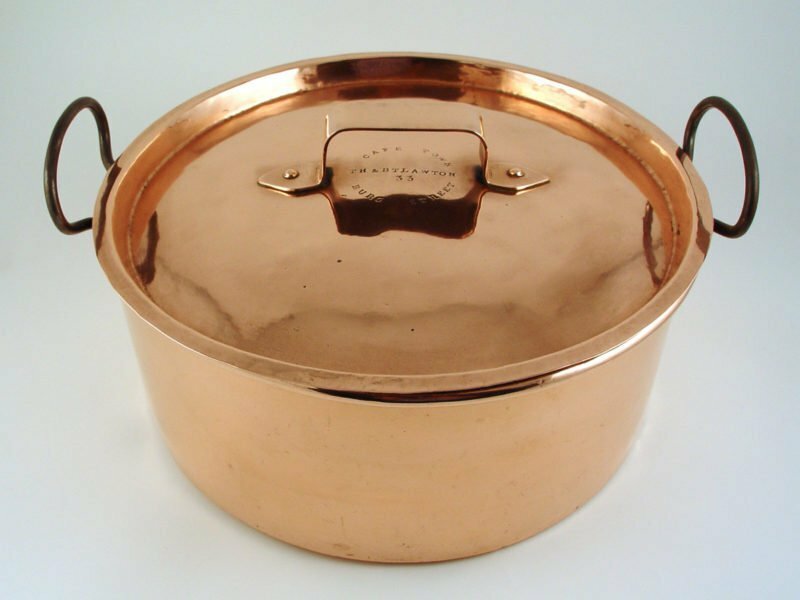 Rare Cape copper saucepan made in Burg Street, Cape Town by Thomas and Benjamin Lawton circa 1863 – 1891. 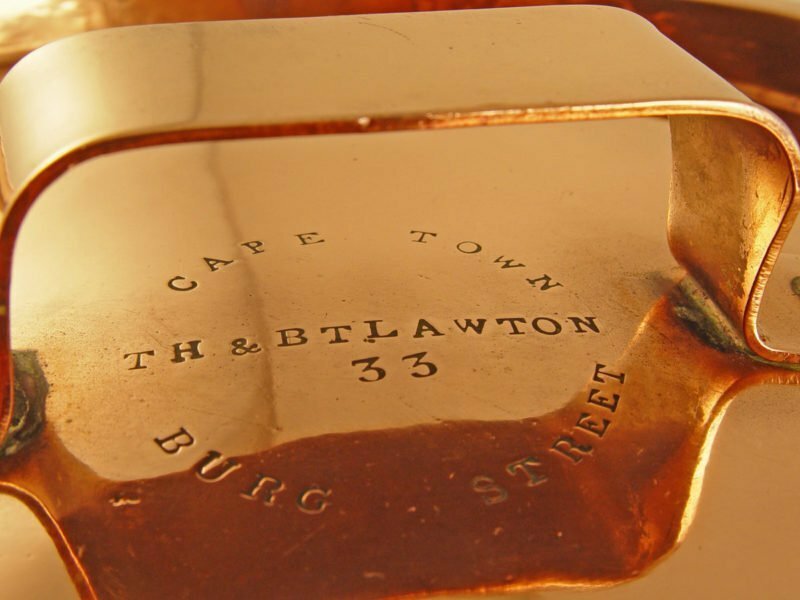 See pages 78 and 104 of “The Cape Copper-Smith” by Marius leRoux. 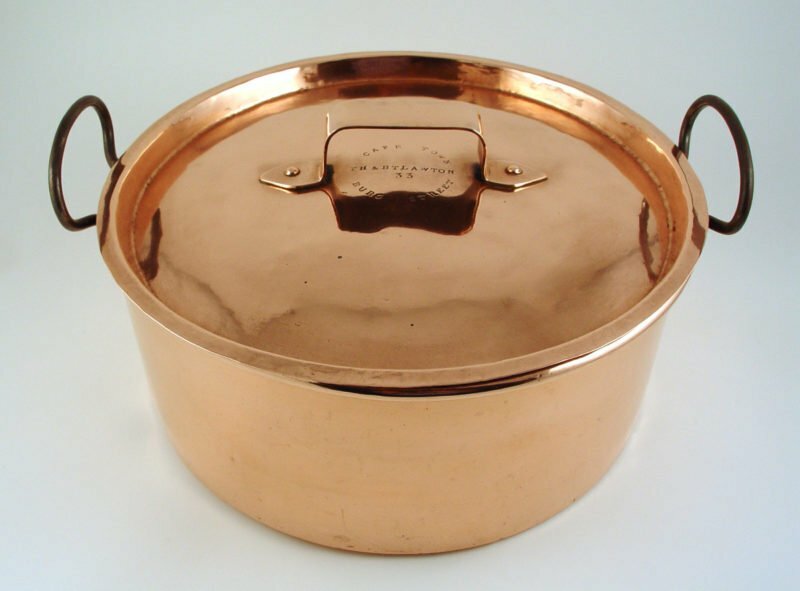 Dimensions: 14.3cm high by 35.5cm diameter.